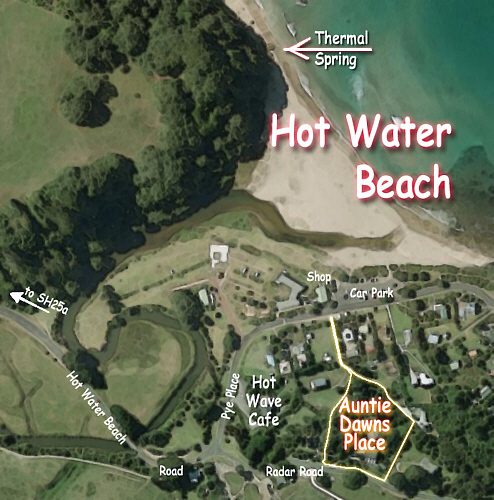 Auntie Dawns Place - at Hot Water Beach! Welcome to Auntie Dawns Place! Hot Water Beach is a beautiful surf beach. At low tide (searchable through 2020), hot water bubbles up at a particular place in the sand and you dig yourself a "hot pool" to bathe in. When the water is too hot, take a swim in the Pacific! Winter weather is unpredictable! You may find the reason NZ is nice and green - rain can fall; wind can blow & waves can get big! We have no control over nature!
" Global Discoveries - Ways to Relax"
"Auntie Dawn & Joe"�have enjoyed providing comfortable accommodation in�spacious apartments at Hot Water Beach since 1992. 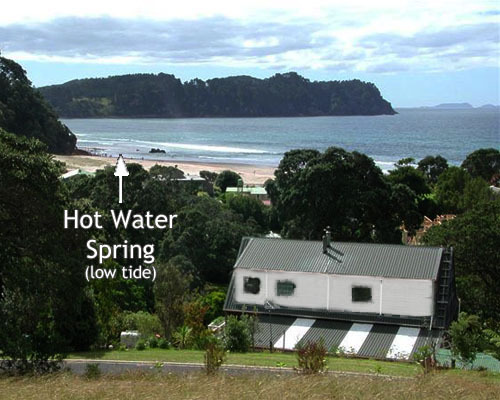 Hot Springs are just�down the driveway�then 2 minute walk along the beach. 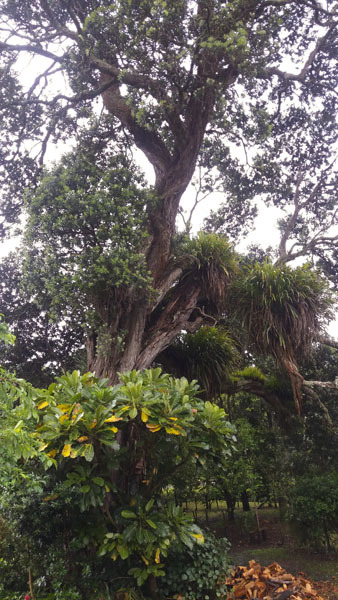 Our spacious apartments are� set in grounds with huge pohutukawa trees which are home to native pigeons, tuis and other birds. Swings for children to use are on these trees.